What is Smile Brilliant? An at-home, professional strength, CUSTOM teeth whitening kit. How does it work? After signing up, they send you the materials to make your own teeth mold that you will use for whitening. You also get teeth whitening gel and desensitizing gel (very important!) with your first package. You then send back the mold (postage included!) and two weeks later you have your custom fitted trays to start whitening! The trays are basically like those newer versions of braces that I was unfortunately too old to be able to have (OG braces for me lol) Super simple. Does it work? Absolutely! Even after two sessions I could see a big difference! 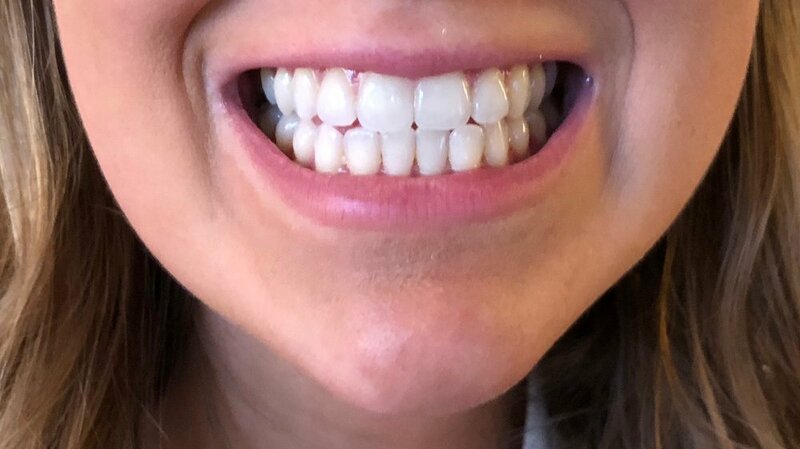 I wasn't really in the headspace that I direly needed to whiten but my teeth looked so bright and clean! I was (and am) excited to continue! I tried to whiten every few days because my teeth are a bit more sensitive than usual. It's important to use the desensitizing gel in between so you don't hurt your gums, that definitely helped a lot! I feel like a celebrity or something haha! To make things even better, there is a giveaway that you can enter HERE! Make sure to your name and email address on the giveaway page in order to enter! The winner will receive a $149 dollar credit to use towards their very own teeth whitening kit! The giveaway is open to the US, Canada, UK, and Australia! For those who do not win, but would still love to try out your very own at-home teeth whitening kit, you can use coderachelannabrown to receive 10% off your kit! Must submit name and email address on the giveaway page in order to enter! The winner will be selected and contacted via email 2 weeks after the post is live. Giveaway is for $149 credit and is open to USA, UK, Canada, and Australia. Please make sure this sticks out AND is clickable so it will catch people's eyes!